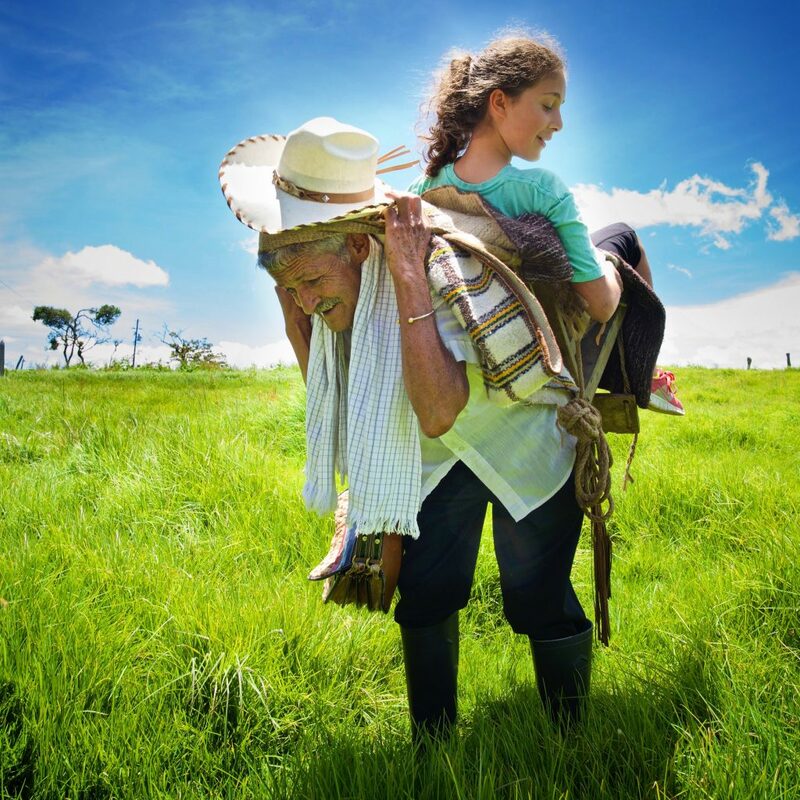 Don Hernan, 82, is a Silletero (saddle man, or chair man), who owns a flower farm with his brother in the small pueblo of Santa Elena, an Andean town above Medellin, Antioquia, Colombia. He still carries the flowers on a 150lb wooden backpack in the Feria De Las Flores (Festival of the Flowers) in the neighbouring city of Medellin, the second largest city in Colombia, every July, as he has done all his adult life. Together with his brother, he runs a small farm that produces solely flowers for sale. 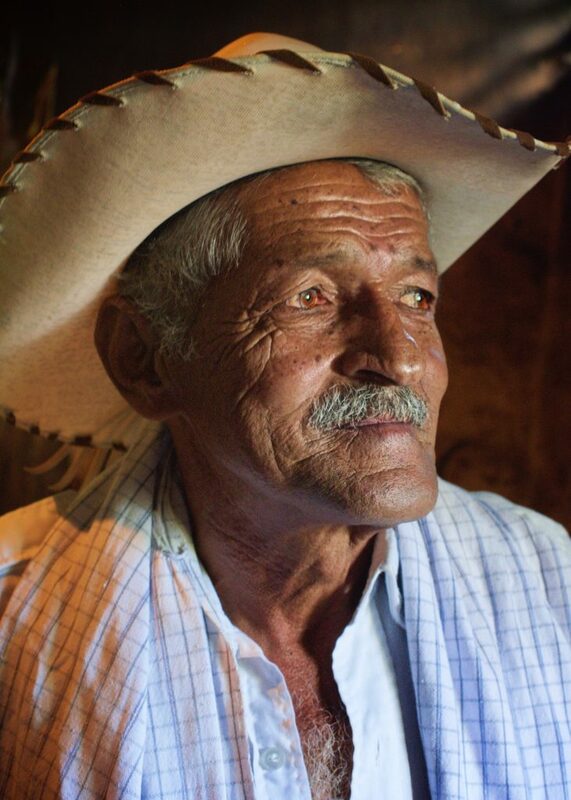 It is an amazing place – he has collected a lifetimes worth of Silletero paraphernalia, which he now proudly displays in his home -come-museum. He happily hosts visitors in the weeks before the festival, and eagerly shows off his ability to still carry the chair! He demonstrated by carrying a teenage girl in our group (see photo above), to the delight of everyone. Amazing for a man in his 80s! 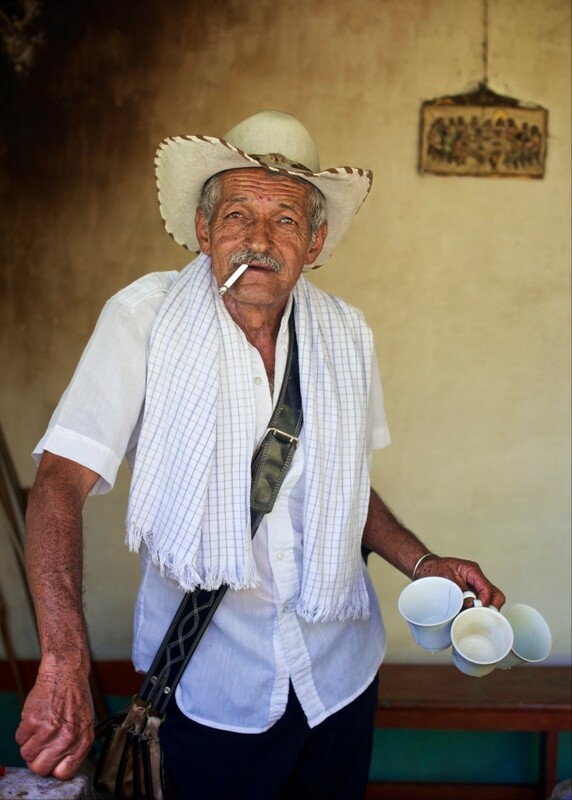 I took this portrait in natural light, in the kitchen of his farm when he was preparing tea for all his guests. I love the texture in this shot – every line tells a story – a lifetime of toil and hardship told in those eyes and that face. He was also quite the raconteur – his many stories were both fascinating and funny as he described his life growing flowers, delivering them and displaying them in the festival. I can’t wait to go back to Medellin, and to Santa Elena at this time of year. The party atmosphere is indescribable. The festival runs in July every year in Medellin, Antioquia, Colombia. If you fancy a visit, I can thoroughly recommend it.